Simone (Sissy) is an everyday type of girl...who is learning to be a mixed martial artist. And her first full contact fight will prove to be the challenge of her life. 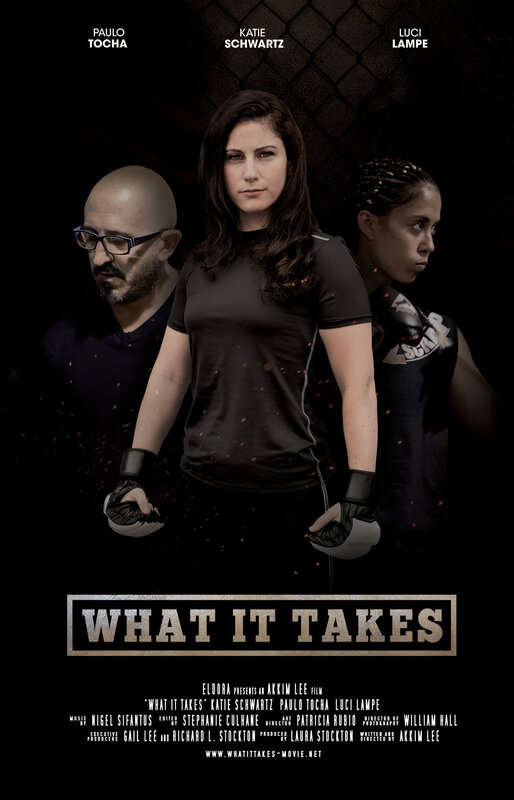 Katie Schwartz (Inherent Vice) and Paulo Tocha (Bloodsport) star in a new mixed martial arts action short film. Sissy (Katie Schwartz) is about to face her greatest challenge. She's about to have her first mixed martial arts fight and her opponent, Athena (Luci Lampe), is as tough as they come. With the guidance of her coach (Paulo Tocha) she will need to find the courage she needs to face her opponent head on. Simone (Sissy) is an everyday type of girl...who is learning to be a mixed martial artist. And her first full contact fight will prove to be the challenge of her life.